Just because the 918 is a part of the hyper car Holy Trinity doesn’t mean you have to pay Holy Trinity prices. 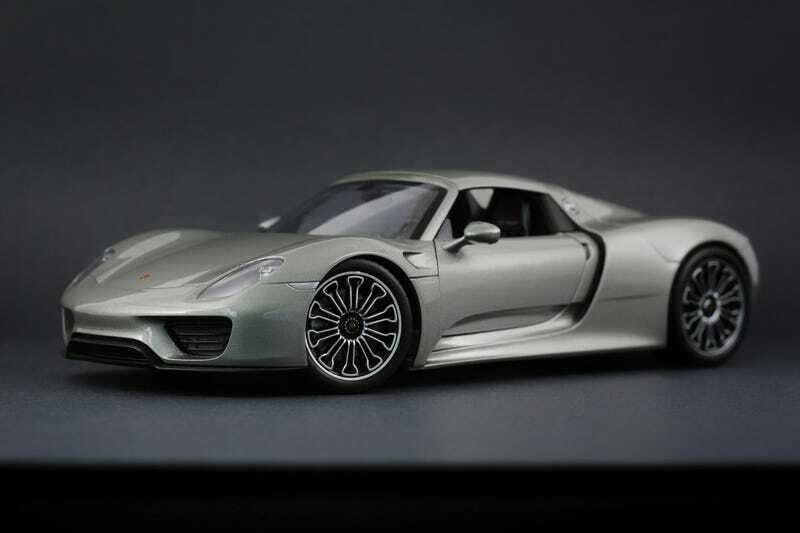 This is the Porsche 918 from Welly, specifically their Nex brand. Sure, the AutoArts and the Minichamps of this car are probably amazing, but this $40 model looks awfully pretty on my shelf next to my $15 Maisto LaFerrari.